Establishing a Collaboratory Community Advisory Board (CAB) with representation from each of the 4 research site communities from which the clinical research will be conducted. 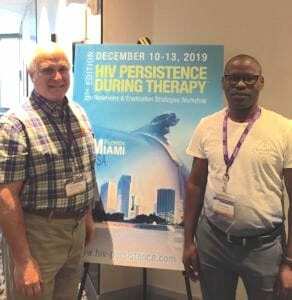 Providing training and education for the CAB and greater community members on the research process, especially as it relates to the aims of the I4C Collaboratory, and with the collective Martin Delaney Collaboratories for HIV Cure Research. Engaging CAB members and key stakeholders in the research process in order to obtain valuable feedback on protocol design and implementation. This will then give us the ability to be able to develop processes and tools for the dissemination of trial results from the Collaboratory. Facilitating the activities of the CAB with administrative and fiscal support for CAB meetings, travel and local engagement events. Support and oversee clinical trial implementation at the proposed clinical sites according to Good Clinical Practice (GCP) and all applicable DAIDS policies. Site investigators and DAIDS representatives attend many calls.